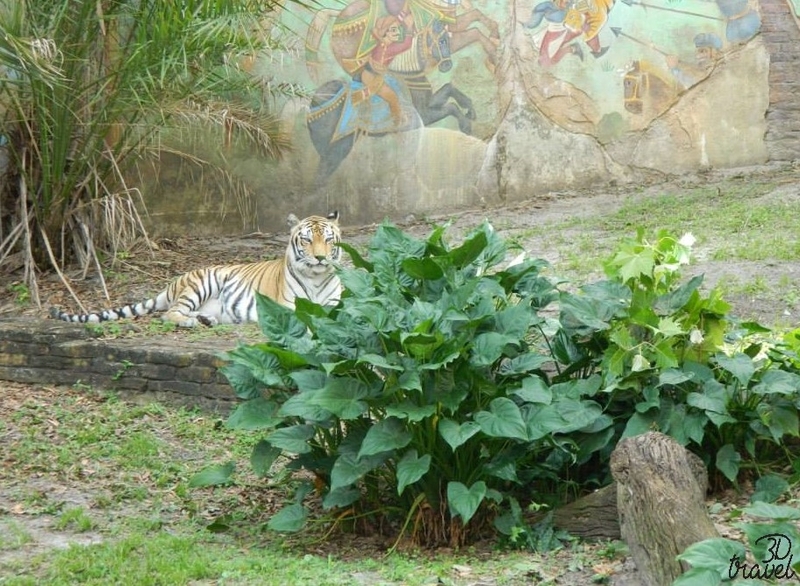 ​Animal Kingdom at Walt Disney World is a great park for Toddlers. 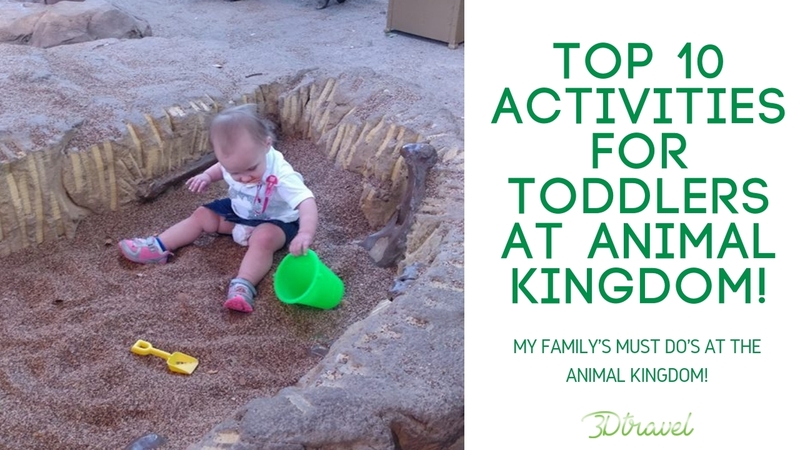 Not only does it have multiple activities for them to enjoy, there are also many opportunities for them to learn about different animals. My family enjoys Animal Kingdom in particular because there are so many ways to entertain the kids while my husband and I utilize the rider swap. So in no particular order, here are my family's top 10 picks for toddlers at Disney's Animal Kingdom. This is a great activity to help little ones explore Animal Kingdom. There are multiple locations for your young explorer to check-in and earn badges, the first being right after you enter the park and cross the bridge to Discovery Island. This activity is geared more towards older toddlers into elementary school aged children, but younger siblings can easily participate in the fun. We personally like this activity because it helps children utilize their communication skills. 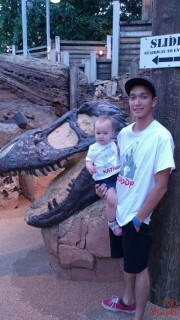 Kat was ready to see the animals. Located in Africa, this safari takes you into the African savanna to encounter dozens of animals, including favorites like giraffes, hippos, rhinos, and of course, LIONS! Guests board safari trucks, and will find keys hanging from the roof displaying the different animals they will see on the safari. You will want to hold onto little ones, as there are no seat belts on this ride. But don't worry, the trucks don't move very fast, but the road can get bumpy so make sure your little ones don't stand. What we love about the safari is that it is never the same thing twice. The animals are always doing something different, and sometimes they will even get up close to the trucks! Located in Dinoland USA, this ride is a dinosaur version of the Dumbo ride from Magic Kingdom. While adults may not be interested, I personally like this ride because it gives kids a familiar ride, which can come in handy when little ones might be scared to go on rides. This can also help keep them from feeling overwhelmed by all of the new experiences, which can help prevent toddler meltdowns. Located in Asia, this is like a self-guided walking tour of South-East Asia. What my husband and I like about the Trek is that you can keep the kids in their strollers while you go through. 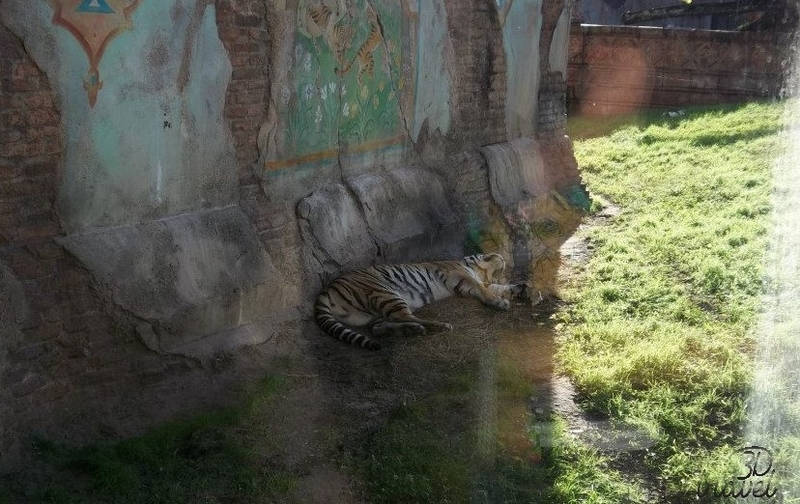 This is great because the kids can either observe the animals from their strollers, or they can take a much needed nap depending on the time of day. On our last trip, both of our kids were awake, and got to see two young tiger cubs. Later that night, Kat and Scott started trying to play just like the young tigers did. 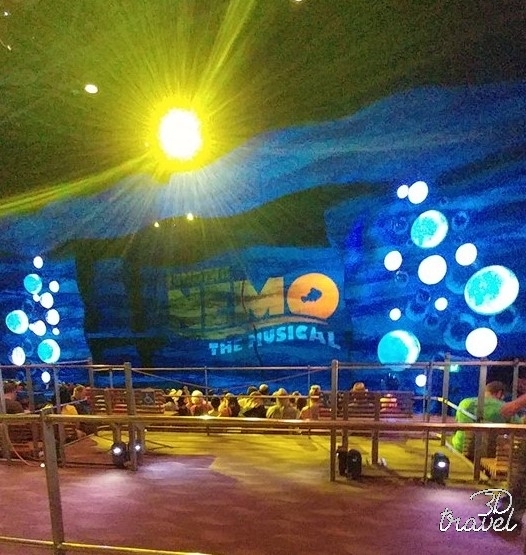 Located on the outskirts of Dinoland USA, this 40 minute show is located in a giant indoor theater letting guests take a break from the heat while watching their favorite fish friends. This musical features fun effects and original music, giving a new take to an already classic story. Our kids love when the bubbles start falling all around them. With the show being 40 minutes long, it gives everyone a nice break, and sometimes the your super little ones will even nap! 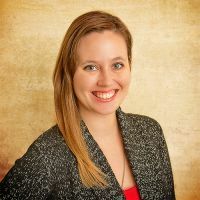 I do suggest bringing in a sweater or baby blanket to sit on; the theater uses bleacher like seating, so if you don;t like hard surfaces you will want something to cushion it. Even adults can have fun at the Affection Section! To get to Rafiki's Planet Watch, guests board a train in Africa to get to the conservation station. Here, toddlers can enjoy an affection section, character interactions, and you can even watch veterinarians work with the different animals. There are many opportunities for everyone in the family to learn at Rafiki's which is why we love going so much. 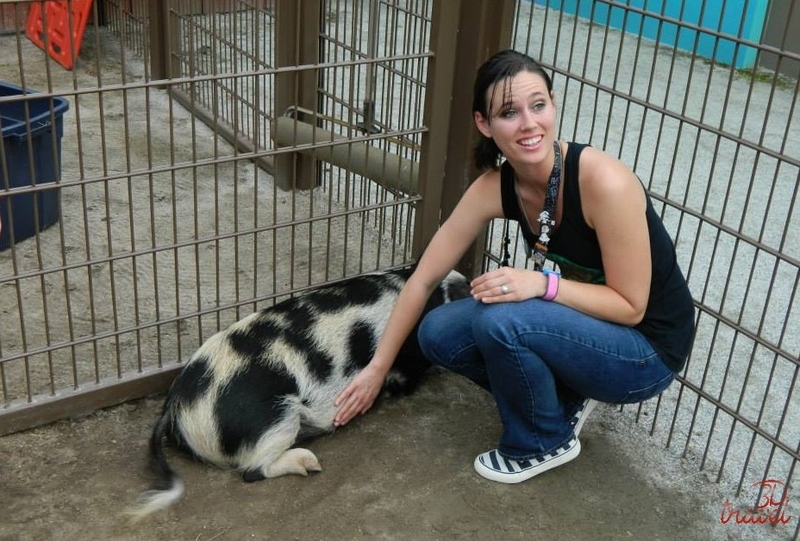 And don't worry, there are hand-washing stations at the petting zoo, and we also like to have hand sanitizer on hand as well. One of Animal Kingdom's newest attractions, this ride is located in Pandora-The World of Avatar. This land will transport you straight into James Cameron's film, and there are many little details to entertain toddlers. 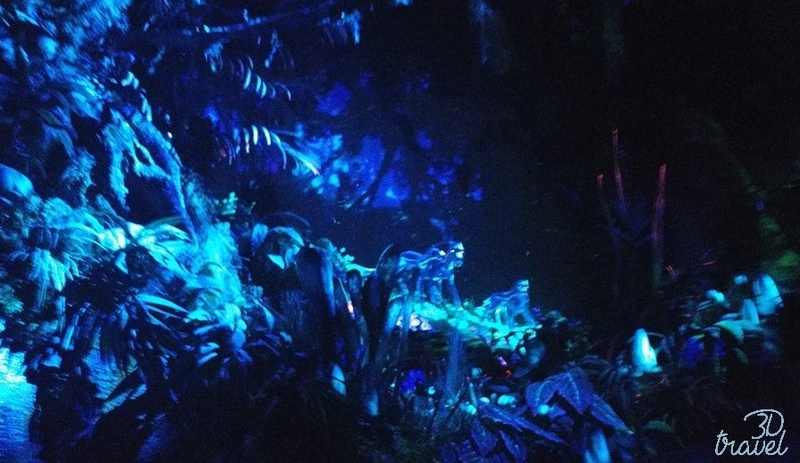 The NA'vi river journey is a boat ride that takes you through Pandora at night. 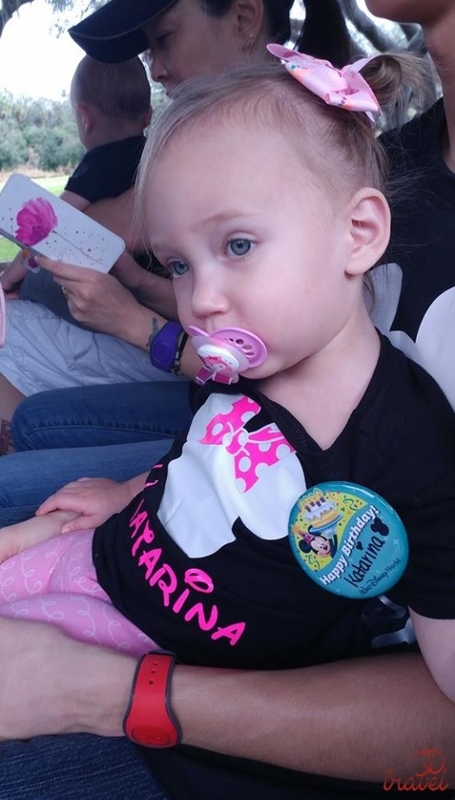 The Disney Imagineers pulled out all the stops for this attraction, and little ones will especially love the "glow in the dark" feel. I highly recommend either doing this ride at park opening, or making sure you have a fastpass as the line can get a long during peak seasons. Located on Discovery Island, this is the perfect character meet and greet for your little Wilderness Explorer. The highlight for my children was meeting Doug, although my daughter was confused when Doug wouldn't "speak". What I love about this meet and greet is that it is very unique, because this is the only place you can meet these characters at Walt Disney World Doug also looks like a giant stuffed animal, which can make him less scary to kids who may not o so well with the masked characters. Located in Dinoland USA, this is probably our favorite play yard on Disney property. The Boneyard has two areas; the first area is full of slides and playground equipment. 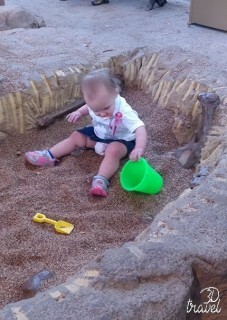 The second area, and what my kids seem to enjoy the most, is a the fossil dig site. Shovels and pails are provided, and kids can dig up dinosaur fossils beneath the fine gravel. There's also a mini site for babies and young toddlers. 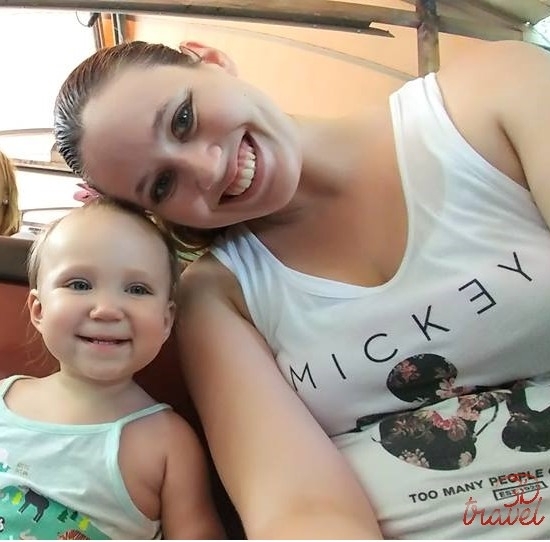 We always make sure to spend time here every time we visit Animal Kingdom, and the kids usually have a great nap after we leave! 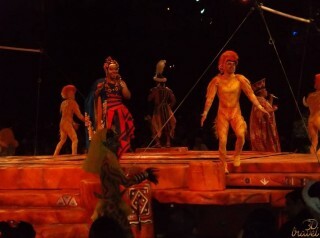 ​This is personally our favorite show at Animal Kingdom. Located in Africa at the Harambe Theater, Festival of the Lion King celebrates the story of the Lion King through the songs we all know and love. 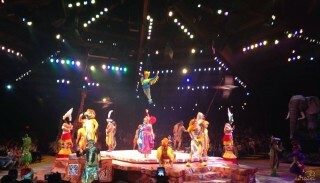 Guests are seated in either the Lion, Giraffe, Elephant or Warthog sections,with the stage in the center of the room. Between the music, dancing, and the acrobatics, this show will keep your toddlers fully engaged and happy. And it's a lot of fun for us adults too! 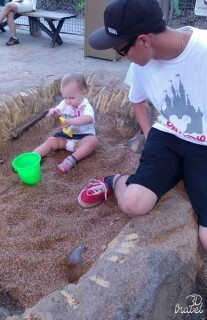 And that concludes our list of the top 10 toddler activities in Animal Kingdom. These are our must-dos every trip, and we hope you love them just as much as we do! Stay tuned for the next addition of the Toddling Travelers!